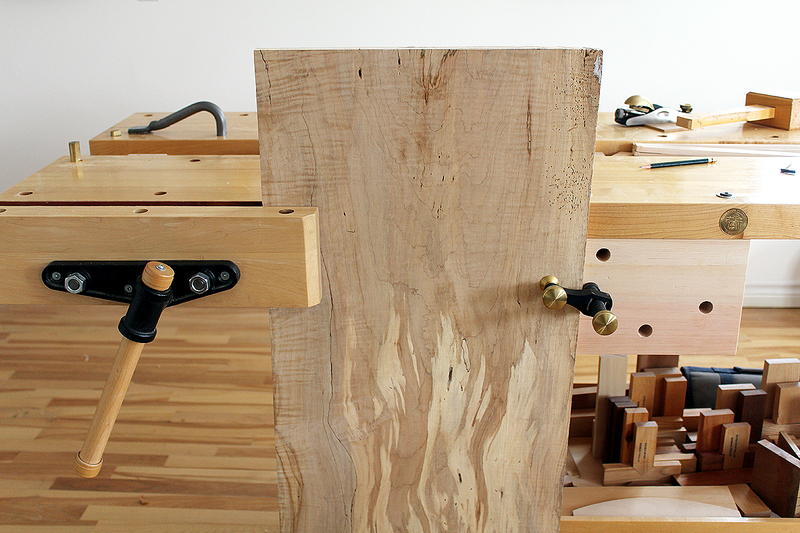 Soon after completing the Moxon Vise project and creating the illustrated drawings, build steps, images, video… I decided to work on a few other workbench accessories. Enter the portable board jack. 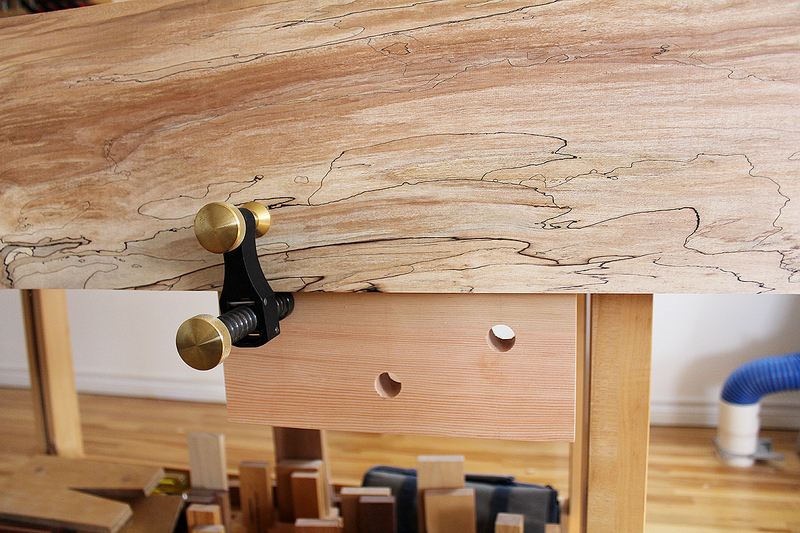 I designed it to easily attach to the underside of a slab-type workbench top where it serves to support the free end of a long plank or board. It can either be left attached to the workbench or removed when no longer necessary. 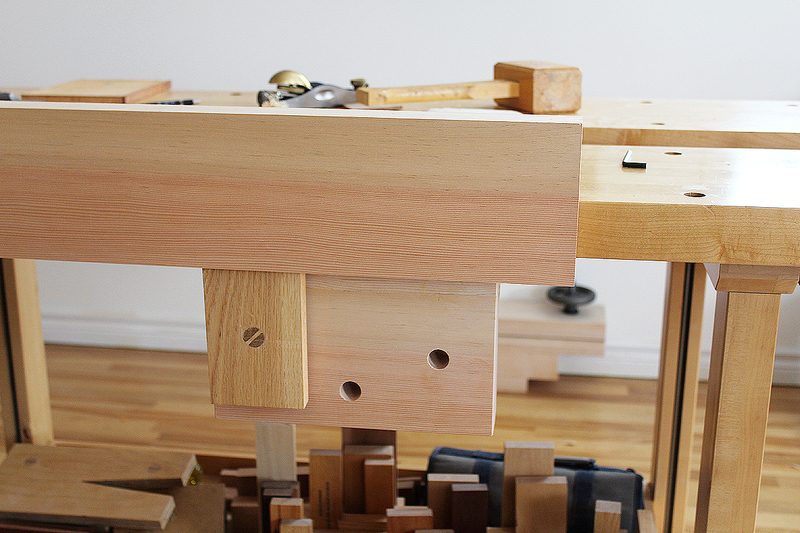 It can also be moved across the length of the workbench, relocated to the opposite side of a workbench, or moved to another workbench. 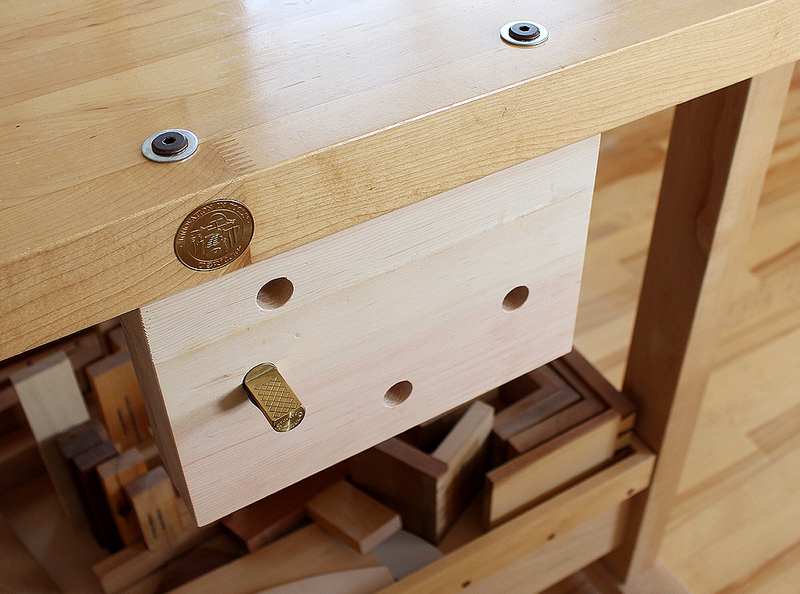 The nice part is no modifications are necessary to the workbench.